RPG Ambience is no longer maintained and not guaranteed to work. Please read the announcement for details. Please read the important announcement on the future of RPG Ambience. If you are unable to save your adventures due to network failure or some other error, use the buttons below to save them as files to your computer. You can later save them under "Open Adventure From File" above. RPG Ambience is a media player that enables roleplayers to bring their sessions to life using sound and visuals. It is free software that runs directly in your browser. RPG Ambience is built around scenes. Scenes are made up of images, sounds, and text grouped together in any combination. Scenes are played and stopped using keyboard shortcuts. Adventures are collections of related scenes. The interface of RPG Ambience consists of two parts: the editor and the player. The editor (the left part of the screen) contains your adventures and the scenes in them, including controls to edit them. The player (the right part of the screen) is where the scenes in your adventures are played. The player can be opened in a separate window. Click on the scene under the Playback tab. Press the hotkey associated with the scene. When starting a scene by typing its name, it's enough to type only the first few letters of the name. button under the Playback tab. Using any of these commands will only stop the topmost scene that is currently playing. To also stop the scene below it, use the command again. 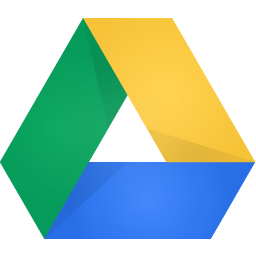 If you choose to save your adventures in Google Drive, all of the adventures that you create, including the sound and image files in them, are automatically saved on a regular basis and every time you close RPG Ambience. If you are unable to save your adventures due to network failure or some other error, use the buttons under the Backup tab to save them as files to your computer. You can later upload them manually to Google Drive. If you want art to use in RPG Ambience but don't know where to begin looking, try using the search forms under the Art Search tab. RPG Ambience is licensed under the GNU General Public License. Its source code is available in the project's GitHub repository. Send an email to jakob@tabletopsoftware.net. Post to the project's Google Group. Post to the project's Google+ community. Create an issue on the project's GitHub page (for bug reports). While RPG Ambience does its best to save all of your data, data loss can still occur because of network failures or programming errors. Do not use RPG Ambience to store your only copy of important data. Where do you want to save your adventures? Unfortunately, your browser does not support RPG Ambience.